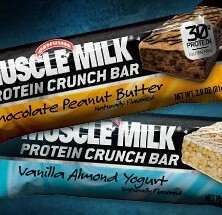 Muscle Milk® Protein Crunch Bars are gluten free and packed with premium protein to help you power through the day. Whether you’re in a rush and need a protein-packed snack or you are looking to recover right from a workout, Muscle Milk Protein Crunch Bars are the perfect solution, no matter what kind of curve ball the day throws at you. 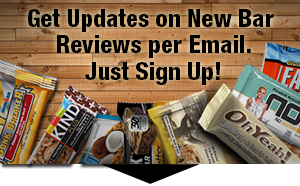 INGREDIENTS: Protein Blend (Whey Protein Isolate, Soy Protein Isolate, Milk Protein Isolate), Soy Protein Crisps (Soy Protein Isolate, Alkalized Cocoa Powder, Tapioca Starch), Cream Layer (Fructose, Milk Protein Isolate, Corn Syrup Solids, Water, Cocoa Butter, Soy Lecithin), Peanuts, Agave Syrup, Chocolate Coating, (Sugar, Palm Kernel Oil, Cocoa Powder, Whey Protein, Nonfat Milk Powder, Soy Lecithin, Natural Flavor), Vegetable Glycerin, Tapioca And/or Corn Vegetable Fiber, Canola Oil, Isomaltulose, Chocolate Liquor, Inulin, Natural Flavors, Soy Lecithin, Sea Salt, Caramel Color, Stevia Extract, Monk Fruit Extract. ALLERGEN STATEMENT: Contains Milk, Soy, And Peanuts. Manufactured In A Facility That Processes Other Products, Which May Contain Peanuts, Tree Nuts, Wheat, Milk, Soy And Eggs. 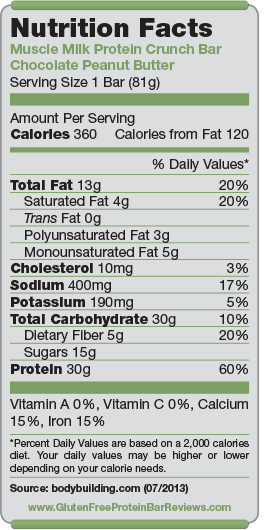 Muscle Milk Protein Crunch Bars also come in a snack size with 15g of protein in both flavors. Known for its protein powders and RTDs, Muscle Milk® combines high-quality protein along with premium ingredients to provide healthy, sustained energy and recovery for performance and lifestyle in all of their products.